When one of your favorite little restaurants gets pushed out by a bigger and stronger concept, you begin to question how things are played in the Tucson restaurant world. As an old Japanese proverb goes: "Beginning is easy. Continuing, hard." 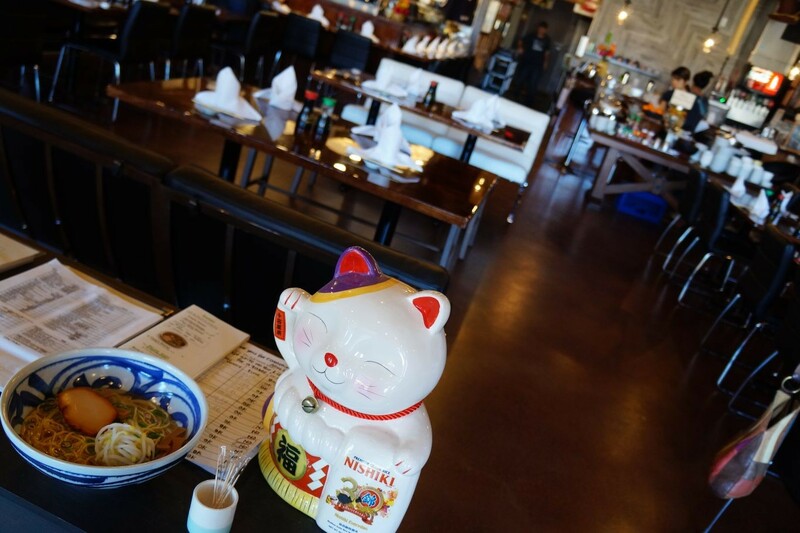 Not that creating and building from scratch a sushi and Japanese cuisine restaurant in Tucson is easy, but when you get muscled out of your original location, trudging forward might prove a bit challenging. This is why the good people of Yoshimatsu, with almost 15 years of serving us amazing and inventive Asian delights, have earned our respect; they took the challenge of leaving their original location at 2660 N. Campbell Ave. to a smaller location across the street, 2741 N. Campbell Ave., with a fresh outlook and new approach to their delicious food. "The move was actually very easy," says owner and executive chef Yoshimi Tashima. "We thought the old place was too big. This new location suits us much better. Has a better feel to it. A more Yoshimatsu feel. We are actually glad for the change." The old sport was once a Carrow's restaurant, with the steeple shaped roof and more open space then needed (except on particularly busy nights), Yoshimatsu, with its conjoined twin Sushimatsu. In the new location, there's just Yoshimatsu and Sushimatsu merged. "This way," added manager Lam Ho, "we were able to combine the sushi restaurant with the regular one to make it a just Yoshimatsu. It's better for us because now we are free to make necessary changes and bring in some new ideas." They still have two separate menus but are now a singular house making everything feel more sociable and warm. But a big switch to pairing down took some time and a lot of dedicated Yoshimatsu fans were worried that their happy go-to sushi and ramen house was gone forever. 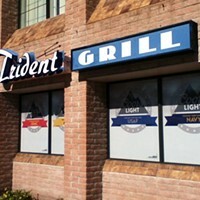 Even when the new sign was up on their new locale, it still took a few months to get everything in order and up to code. "Everything you see here ... new!" boasts Yoshimi. When you first walk in you are greeted by familiar territory yet with an updated approach, like a hip interior designer coming in a well-loved and worn cottage and making it sleek and opulent to the eye. The sushi bar was constructed by hand, the tables are a glossy wood luster along with the kitchen getting refurbished and modernized to their new specifications and needs. Lom then points upward and says "This is the real reason it took so long for us to open." Snaking along the warehouse style ceiling is a maze of brand new ventilation ducts. Apparently getting the system to comply with new sanitation regulations, along with a serious cost setback, was not an easy undertaking. Installation, some initial problems and getting the darn things to just do their job proved a challenge. Still thinking about opening up a restaurant, especially as challenging as one that serves raw fish and uses delicate ingredients? Yeah, not easy. "But we are open now, we are happy and we are busy, busy busy!," Yoshimi says. The delight on Yoshimi's face only indicates that the joy of serving her customers delicious food again has been reinstated for her and her head chef Takayuki Takagi with a new embrace on more traditional items. "We want to bring in more traditional Japanese food," says Lom, "some items that have yet to be introduced to Tucson. This is a big food city and we are confident that our new dishes will go over well." The menu has been transformed to accommodate the tighter confines and represents a bit more of what Yoshimi and Takashi are all about as confident Japanese chefs. They still have their famous brothy and yum filled ramen, but have introduced us to something called Maze Men, which essentially means "mixed noodles" and more commonly known as "dry ramen." It's a popular dish in Tokyo that consists of cooked ramen noodles served with a tangy sauce and a variety of toppings including pork, green onions, bamboo shoots and an egg. No broth. Also on the current menu are Kushiyaki grilled skewers such as bacon wrapped asparagus, chicken and onion, tuna, shiitake mushroom and an Atsuage tofu, tomato and mozzarella option. "Our customers already love our new Yoshimatsu bento," says Yoshimi. "So much good food. So much bigger for our smaller place." It's true, for $20 you get sashimi, sushi, tempura grilled fish, miso soup and a chef's choice item in a box filled with smaller boxes overflowing with sumptuous and resplendent creations. Then Yoshimi perks up and quips, "Oh, have you seen our new bathrooms? The toilets are hand painted! Very special." Yep. Ornate designs decorate the facilities in their new place. Good job Yoshimatsu.